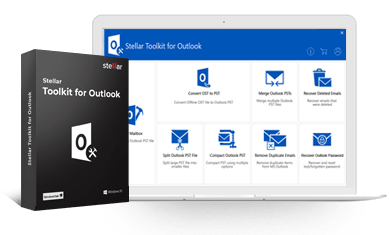 Stellar Converter for Mail is a comprehensive solution for your need for converting your Mac OS X based mailbox, created in Apple Mail, Thunderbird, Postbox, or Outlook for Mac 2011 client. This email converter takes the data file created in any of these clients as its input, and then enables you to convert it to its corresponding Apple Mail or Outlook for Mac 2011 data file. The software provides you with a self-directive GUI that plays a key role in making the mailbox conversion task a lot easier. Under Source Mailbox, click the Select Format menu and choose Apple Mail (MBOX). Click the Browse button and locate your Apple Mail file. Under Convert To, click the Select Format menu and choose Outlook 2011. Click the Browse button and select a destination to save the converted file. Click the Start Conversion button. Run Stellar Converter for Mail. Under Source Mailbox, click the Select Format menu and choose Apple Mail (Emlx). Under Source Mailbox, click the Select Format menu and choose Thunderbird (MBOX). Click the Browse button and locate your Thunderbird Mail file. Under Convert To, click the Select Format menu and choose Apple Mail or Outlook 2011. Under Source Mailbox, click the Select Format menu and choose Postbox (MBOX). Click the Browse button and locate your Postbox Mail file. Once the software is finished converting your mailbox to its corresponding selected format, a pop-up message flashes, which on clicking 'Yes' shows up the steps to import the Apple Mail or Outlook 2011 data file into its respective Mail client. I was interested to experience best email client on iMac with existing emails. Then, I had planned to migrate from Postbox to Apple Mail. Through manual method, I failed to accomplish my personal interest. This software helped me to explore Apple Mail with old email items.